Gutter-Snipe Gutter Cleaners have been keeping homes and buildings dry and safe from Australia’s extreme weather conditions for over 30 years. Established in 1983 in Hornsby on Sydney’s North Shore we have thousands of satisfied and repeat customers who have used our services to protect their family and their most valuable asset, their home. From booking your service to having your gutters cleared, we will ensure a friendly, efficient and knowledgeable service. Need the Job done fast? If you are happy to proceed with our competitive fixed price quote we can complete most jobs straight away. We found the gutter cleaner to be highly efficient and he delivered excellent service. Would highly recommend to others. Very impressed thank you! This is the second time Paul has cleaned our gutters: he is always professional and courteous, does a great job, explains things very well, arrives on time and was very friendly. Benji was punctual, he worked hard and fast and he cleaned up after the job. I have never given a review before but I was so impressed I felt everyone should know. Appreciate the Online Quote form, communication from the office and the gutter cleaning job done on my house. Jamie was fast, efficient and was able to replace a broken roof tile. The serviceman was prompt, courteous and friendly. He arrived on time, inspected our roof and quoted. 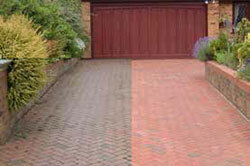 The cost was extremely reasonable and after accepting the quote the job was completed that morning. I would not hesitate to contact them again. 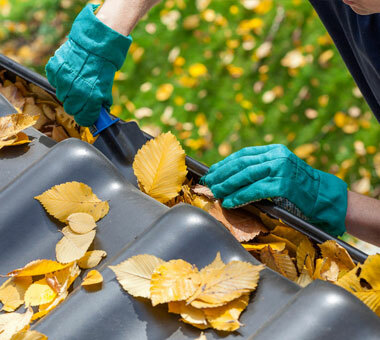 Gutter-Snipe Gutter cleaners is a leading gutter cleaning service provider to residential homes, multi-storey apartments and commercial buildings throughout Sydney. We offer comprehensive gutter cleaning solutions to residential homes, Body Corporate, multi-level apartment and commercial customers. If you’re not sure if we service your area please call us on (02) 9987 0955 and speak with one of our friendly staff. What if some one falls off the roof? Gutter-Snipe Gutter Cleaners' Operators are Height Safety Certified and carry professional roof access kits. Gutter-Snipe Gutter Cleaners are fully insured, covering both our Operators via Workers Compensation Insurance and your property via Public Liability Insurance. The reason for insurance is: If an uninsured worker falls off your roof, you are liable for providing an unsafe work environment. 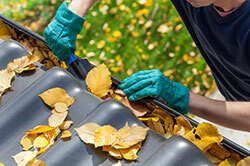 That is why Gutter-Snipe Gutter Cleaners are fully insured. 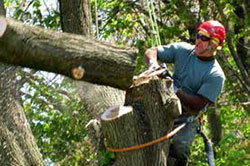 We carry over ten million dollars of Public Liability insurance. Details of our Policies are available upon request. Our Operators are NOT sub-contractors - they work directly for us and as such are covered by our Insurances. .
Each property varies according to many factors (danger, difficulty, accessibility, time, what is in the gutters etc.). Quotes are provided on site. We prefer you to be on site when we visit. You can say yes/no to our Quotation immediately. Saying "yes "saves you money. We save time double travelling and time setting up our ladders etc. Thus we pass this saving on to you the Customer. Should you decline the quotation there is no obligation - however if you change your mind we charge a nominal return fee on top of the original quotation. We leave your property cleaner than we found it. Any debris accidentally dropped whilst we clean (normally straight into sacks) is cleared away. All debris from the gutters is placed into your green compost waste or spread as mulch on your gardens to keep weeds away and to conserve water. Alternatively we remove debris from site at a reasonable cost. We prefer for security reasons, for you to be home for the initial quotation. However in some cases, as we realise you are too busy to wait for tradespeople, we can phone you at work with the price (after we have examined your property). After accepting the quotation we carry out the work and leave an account in your letterbox for payment within 7 days. Credit card, cheque or direct deposit is our preferred method of payment. Can you clean my skylight? Yes, we can provide exterior skylight cleaning service. Clearing debris from around the skylight is part of our regular service. Can you report on any roof problems? 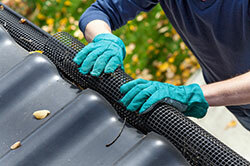 As we clean, if we see any rusted gutters or other obvious problems we wiin advise you. 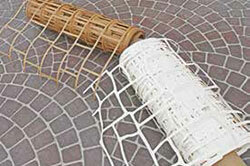 Broken tiles can usually be repaired for a nominal cost. 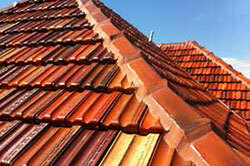 If you have spare tiles on site, we can usually replace the first one free (any more $20 each). We can tell you if possums have done any damage. 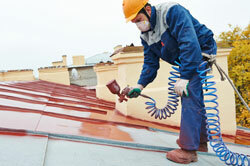 If you have a leak from the roof area, we can often advise the cause. How often do my gutters need cleaning? Depending on the type of trees affecting your property, your budget and how fastidious you wish to be - varies from monthly, 2 monthly, quarterly, half yearly or yearly. Can we schedule a reminder call? Another free service is our "Gutter-Snipe Gutter Cleaners Reminder Call" which is scheduled each time your gutters are due for cleaning - though sometimes we do get behind due to rain, fires or staff absence, so feel free to give us a call for an appointment. When you request in writing to have our service automatically scheduled you become a Priority Customer and can be assured of having your guttering cleaned on time. © 2017 All Rights Reserved. Gutter Snipe.